A racially and politically motivated murder, unsolved for thirty years, still fuels the burning tensions of a small Southern town and threatens to destroy its future. Thirty years after Peter Malcolm was murdered while opposing aggressive industrial activity in Gospel Hill, plans to replace the minority district with a lucrative golf course provokes anger among the residents. 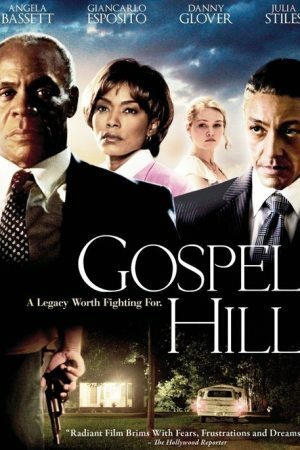 Gospel Hill is about haunted men, the former sheriff of the southern town dealing with past sins, and the former civil rights worker withdrawn since the martyrdom of his brother thirty years before. Their final confrontation comes when the corporation descends on the town, resolving a struggle that is thirty years old and leading to the discovery of Peter’s killer.